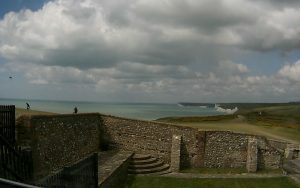 As anyone who knows me will confirm, I love Belle Tout. The building is steeped in fascinating history and the location is one of the most beautiful in the world. Since my involvement with the Trust, I have amassed a great deal of information about the lighthouse that I wanted to share with people. To this end, I decided to write a book about the Belle Tout Lighthouse. This is the first book of its kind to be written specifically about the Belle Tout Lighthouse and includes rarely seen pictures and facts many people will not be aware of. Providing information from the very beginning on how the cliffs formed, through to the very first trial lighthouse, the building of Belle Tout, the decommission, the moving, all the way through to the modern day. This story can now be told. Please allow upto 7 days for delivery although usually it will be just 2-3 days. 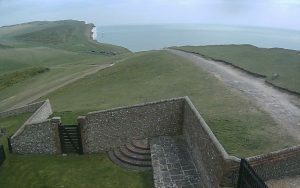 The book is also in stock at the Belle Tout Lighthouse itself, the Beachy Head Visitor Centre, the Visitor Shop at the National Trust Birling Gap and the Tourist Information Office in Eastbourne Town Centre. The book can also be purchased from British Bookshops in Seaford. The book can also be bought online at Amazon, Waterstones and WH Smiths. 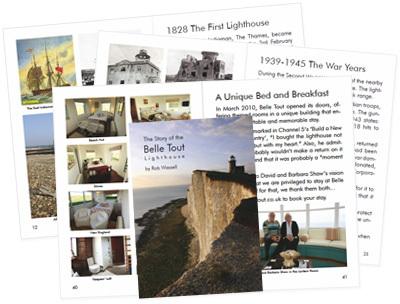 If you would like to stock The Story of the Belle Tout Lighthouse, please use the contact page in the first instance.